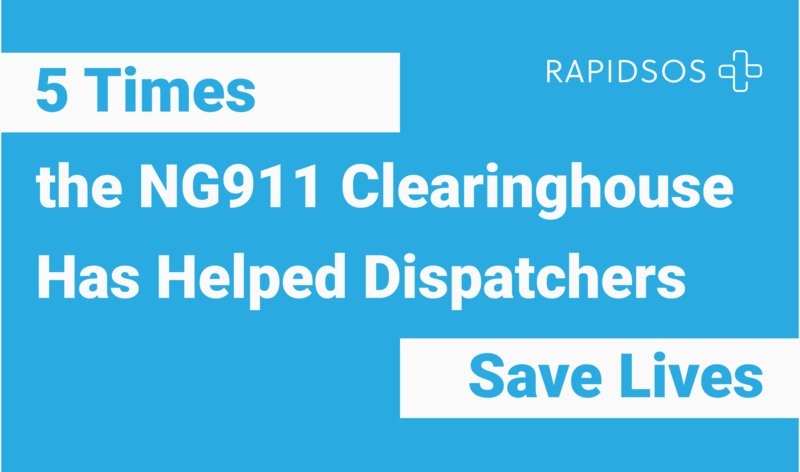 Over the past couple months we have heard countless stories from our public safety partners where data through the NG911 Clearinghouse has helped save lives. Read on to hear firsthand from PSAPs using the tech and find out how you can get access for your agency. "On 10/21 we took a call for a fire where the female was just yelling in Spanish. We used RapidLite for the location and we were able to respond to the correct area." "I took a call from a male caller stating "I need Police here now!" I could hear yelling in the background so I could tell something was going on. I was able to get his address and saw he was calling from a Hotel and just as I was asking for his room number he disconnected the line. I immediately went into Rapid[Lite] and entered his cell number and BAM not only did the exact same address come up but it also came back with the hotel room number as well." "A nine-year-old girl called 911 to report a man in her backyard while her parents were away. During the call, the cell phone disconnected due to low battery. Without the added benefit of precise location services, the call would have been geo-located blocks away. With the enhanced location services, we were able to find the girl and make sure she was safe." "A caller in a recent violent attack couldn't tell dispatchers exactly what street and intersection they were at but [RapidLite] found their cell phone on the map and got help there much faster than they could before." Step 1: Claim your PSAP’s 100% free, zero-commitment, RapidLite account in minutes today. Step 2: Set up a meeting with your RapidSOS public safety representative to determine the easiest path to an integration through your CPE, CAD, or mapping software. Have a success story you want to share with our team? Email Karin Marquez at kmarquez@rapidsos.com. Questions about the NG911 Clearinghouse? Email psapsupport@rapidsos.com.